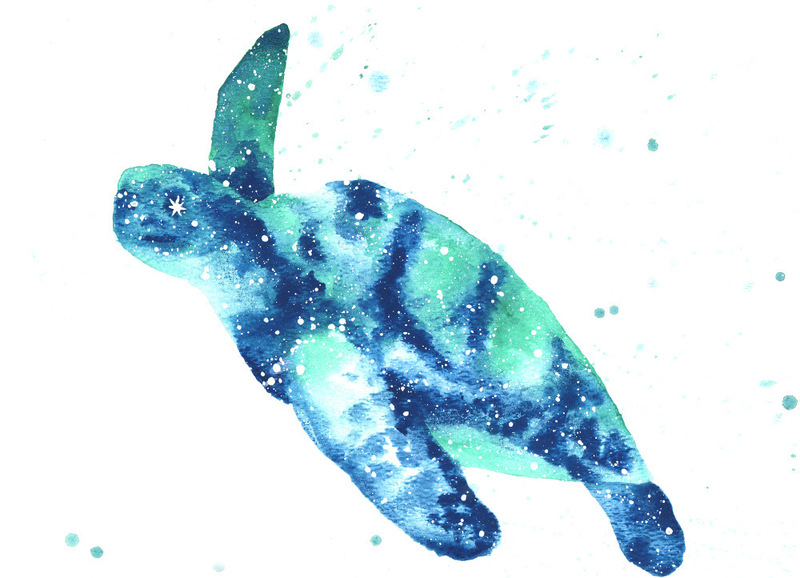 Sea Turtle symbolizes longevity, peace, grounding, ancient wisdom, and emotional strength. Turtle carries the world on its back, grounding it wherever it goes. Turtle is determined and persistent as it slowly moves on land, steadily evolving physically. 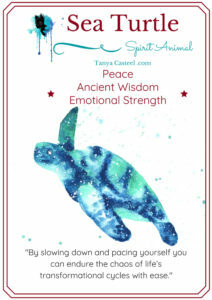 By slowing down and pacing yourself you can endure the chaos of life’s transformational cycles with ease. Turtle moves swiftly through water, learning to navigate its sensitivity to others’ emotions. At times it can feel like an emotional tsunami as you navigate through the deep waters of the world’s emotions. By practice non-attachment, you can be at peace with your own path and appreciate all aspects of yourself. Keeping a steadfast mind will bring confidence and calm to your emotional state, as well as peace and acceptance to your unique path. I want to hear about your Sea Turtle experiences. What stories or dreams have you had? Please share and join in the conversation below!